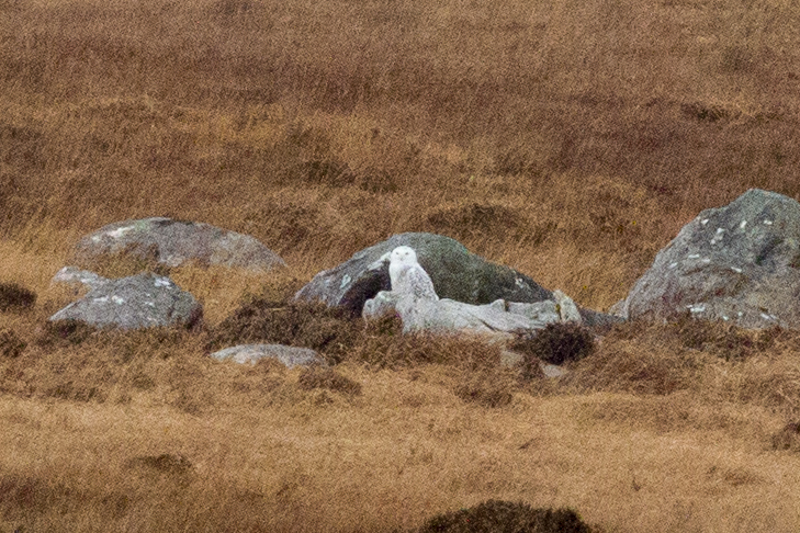 Dermot Breen's Blog: Snowy Owl Dec 16. 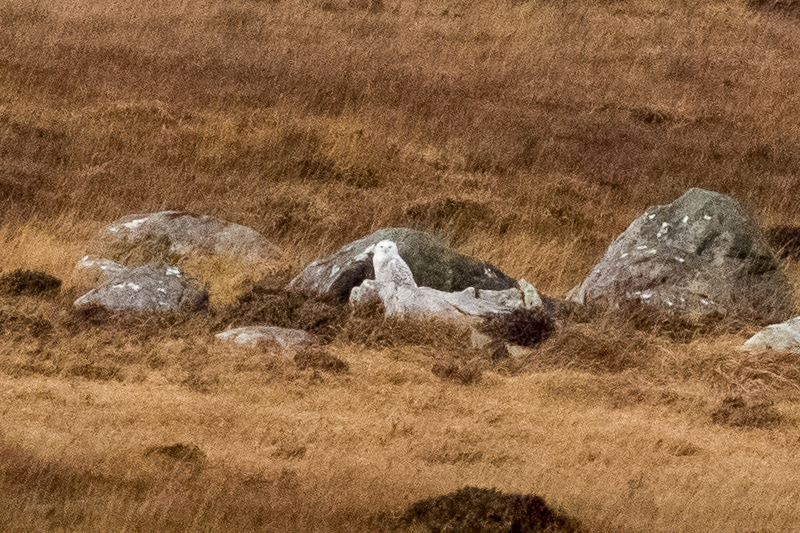 I got a call from Paul Troake who came across a female Snowy Owl out on the bog between Spiddal and Inveran yesterday. This a huge open area and without knowing where exactly to look it could be nigh on impossible to find. I headed up today for a look. 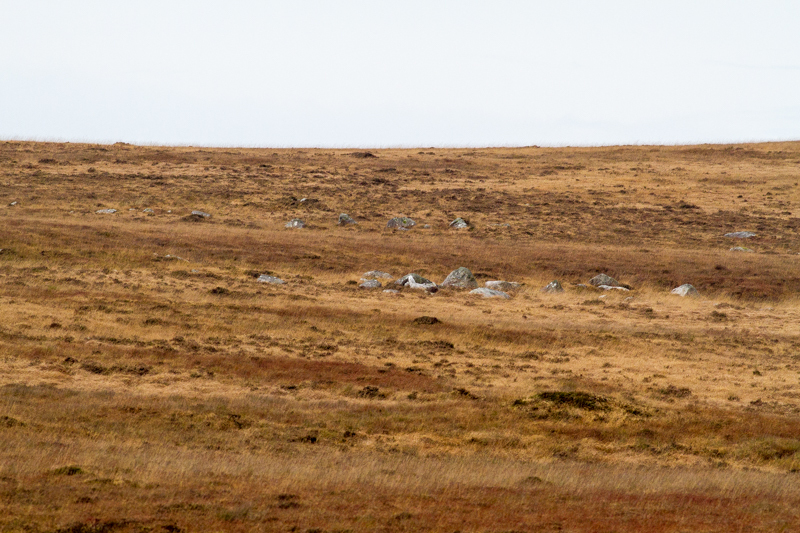 Cathal Forkan was already on site about a kilometre to the east and was looking at the bird. We watch the bird from a distance of about 700 metres. 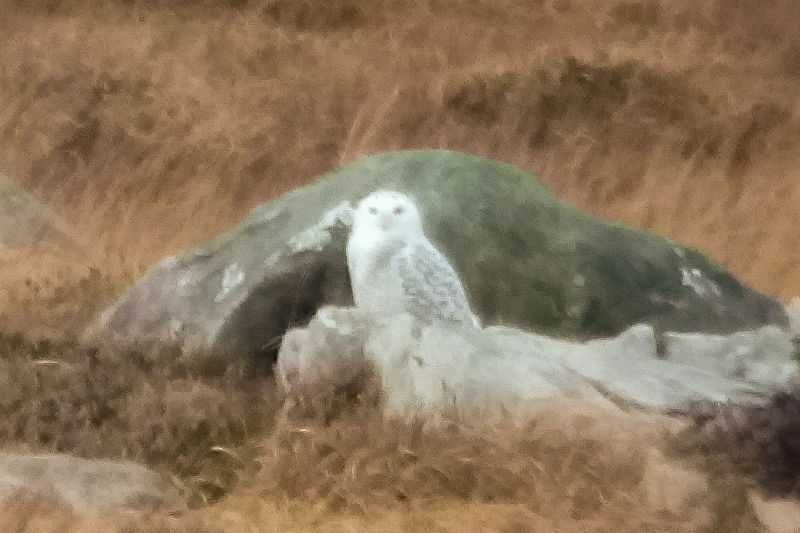 A Snowy Owl was seen in this very spot earlier in the winter and is most likely the same individual. It flew up the hillside at one point and luckily I was videoing the bird with the phone at the time. They are a very special looking bird and what a sight she was. Snowy Owl from Dermot Breen on Vimeo. These guys are so cool, just sitting there watching you.